Rebecca Robbins is a woman on a mission---to sell the roller rink she inherited from her mother and get back to Chicago. Fast. However, when she discovers the dead body of the town's handyman headfirst in a rink toilet, potential buyers are scared off. Now Rebecca is stuck in a small town where her former neighbors think she doesn't belong, living with her scarily frisky grandfather, Pop, and relying on a police department that's better at gardening than solving crimes. Eager to move forward with her life, Rebecca begins investigating the murder herself, reluctantly accepting help from Pop and his extensive social network, which includes a handsome veterinarian and a former circus camel named Elwood. Nevertheless, someone isn't happy she's looking into the case, and their threats will have her questioning whether playing sleuth was such a good idea after all. Joelle Charbonneau's debut is a sheer delight---a laugh-out-loud mystery with plenty of heart. Joelle Charbonneau has worked as a professional singer and actress and currently is a private voice instructor. Her mother was a national and world champion roller skater. Joelle lives with her husband and toddler son in Illinois. 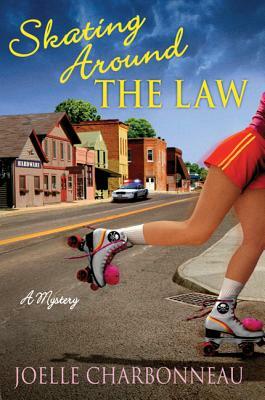 Her books include Skating Around the Law and Skating Over the Line.